New Wisner-Pilger Public School ties together two small Nebraska towns torn apart by a tornado. Space p11 brings off-grid art to Chicago’s Pedway. National Veterans Museum opens in Columbus, Ohio. 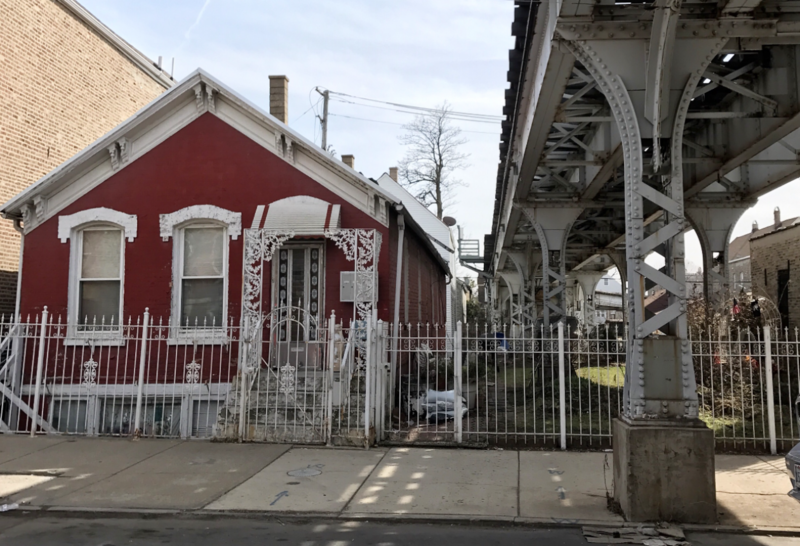 Commission on Chicago Landmarks aims to preserve affordability and culture alongside historic architecture in Pilsen. What will be Mayor Rahm Emanuel’s legacy on Chicago’s Architecture? Houston’s Goodnight Charlie’s is a contemporary honky-tonk with vernacular roots. Chicago needs a new historic resources survey to protect its postmodern and vernacular heritage. Historic preservation battles in Chicagoland turn to Trumpian tactics. 2018 found historic preservation (or heritage conservation for the more progressive) in the U.S. broadening its vision as a movement but also branching out to take on a radical sense of what landmarks are, both in terms of age (the established “45 year or older” rule seems to no longer culturally apply) and historic significance (preserving structures with a social and vernacular history over those designed by a famous architect). The year reflected the volatility of our political climate on both sides of the argument, from the slow beginnings of a shift from tenured older voices and their architecture with a capital “A” priorities to radical young ones who brought in late-20th-century postmodernism and social equity as aspects of the built environment in desperate need of attention and focus. Primarily, 2018 was a year where we learned that with enough patience (like 30-years-worth for Detroit’s Michigan Central Station), preservation efforts pay off. After the debut of Starship Chicago: A Building on the Brink, Chicago seemed amped up to fight for the hyperactive postmodern gem at the beginning of the year, with a showing of the film and a corresponding panel discussion on the building’s future in January. Landmarks Illinois included it in its annual list of statewide endangered buildings in the spring, concurrently releasing a series of rendered proposals by JAHN Architects that show an added super tower in the southwest corner of the building that would maximize its potential as an adaptive re-use property. With support from Preservation Chicago, advocates for the structure rallied in September to solicit interest in making the structure a Chicago Landmark, including a performance by Shea Coulee of RuPaul’s Drag Race and plenty of old school picketing. The Thompson Center would ultimately be signed up for another year in service to the people of Illinois, as the state removed the sale of the structure from the list of revenue sources in 2019. The future of the structure is now on the hook of Illinois’s governor-elect J.B. Pritzker, and Chicago’s next mayor. Rollbacks of regulations also affected preservation at the local level. The New York City Landmarks Preservation Commission rolled back some of the most controversial elements of its application review and permitting process after claims in March that the proposed changes cut neighbors, community boards, and elected officials out of the process. After claims that the rollback was too generous to developers and landlords, Landmarks Chairwoman Meenakshi Srinivasan stepped down in May. Preservation battles on both sides took on an ominously familiar Trumpian rhetorical tone, pointing fingers, relying on loose aesthetic judgments, and intent on creating crises where there were none. In Chicago’s Old Town Triangle Historic District, a family’s desire to add a garage to their home in order to accommodate their wheelchair-bound daughter was approved by the Chicago Landmarks Division but was met with a rash of vitriolic criticism by those looking to preserve architectural integrity at all costs. Neighbors in opposition chastised the family for not thinking of their daughter’s needs by moving to a neighborhood that wasn’t more flexible for her disability. They spoke openly about the garage’s aesthetics and the dramatic precedent-setting nature of the project (i.e., “horrible” and “it’s game over for preservation”) and threatened to build their own garages out of spite. Despite the work of many to cast out exclusionist “not-in-my-backyard” rhetoric from historic preservation, it still reared its ugly head in 2018. 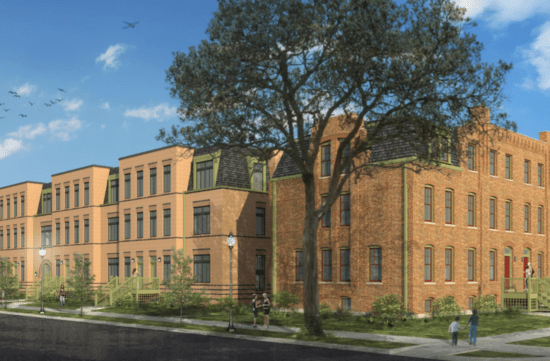 In Chicago’s Pullman neighborhood, the opposition of a new affordable development had members of the Pullman National Monument Preservation Society (PNMPS) banding together under multiple claims that a federal level review of the project was botched, dragging federal agencies and the National Trust for Historic Preservation, and shaming developers and architects involved with the project on social media. In May, an Evanston alderman introduced a proposal by a group of undisclosed funders, known as the Evanston Lakehouse Dunes, to pledge $400,000 to demolish the historic Harley Clarke Mansion, a local landmark with deferred maintenance issues that formerly housed the Evanston Art Center. These funders claimed that the demolition of the mansion would “restore” open vistas of the Grosse Point Lighthouse and lakefront but brought speculation that the group included area homeowners looking to block private use for the mansion and were seeking demolition to provide themselves with views of Lake Michigan. 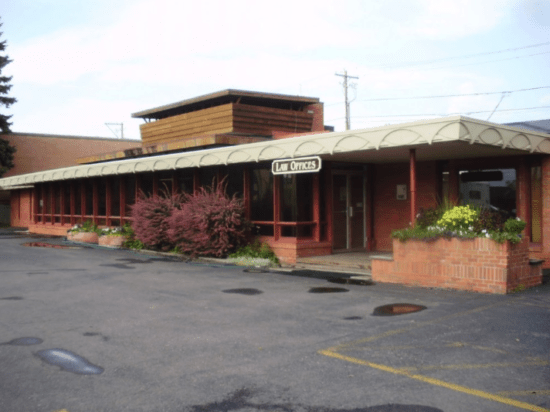 With the funders unwilling to reveal themselves and increased public pressure to find an alternative to demolition, Evanston’s city council voted in December to spare the structure, and the pledged money was returned. This was the year that the some of the Midwest’s perennially imperiled historic buildings came out of threatened status, many after decades of vacancy and failed starts. In December 2018, construction officially began on the restoration of Detroit’s Michigan Central Station. After speculation of the building’s redevelopment in March, it was announced that the $350 million-dollar project would put the 105-year-old train depot at the center of the new Ford Motor Company campus in Detroit’s Corktown neighborhood. 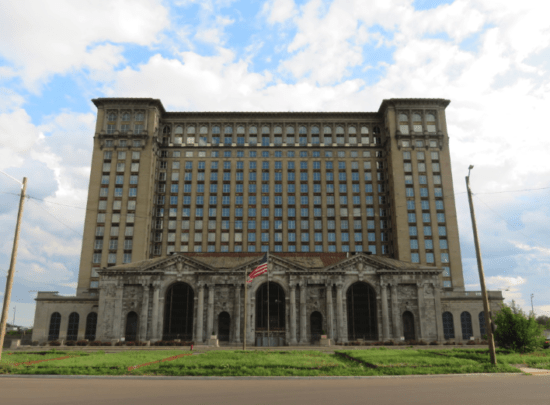 Michigan Central saw its last train depart in December 1988 and has been the subject of a regular stream of stalled adaptive re-use plans, including schemes for a casino and police headquarters. 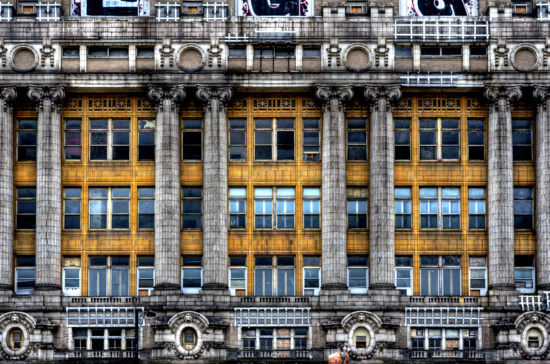 The Chicago historic preservation cognoscenti received a boost with the announcement of the resurrection of the old Cook County Hospital in June. Empty for 16 years, the National Register of Historic Places–listed property will receive $24 million in federal historic tax credits, curbing the $145 million needed to transform the structure into two new hotels, medical offices, and a small museum dedicated to the building’s influence on healthcare. 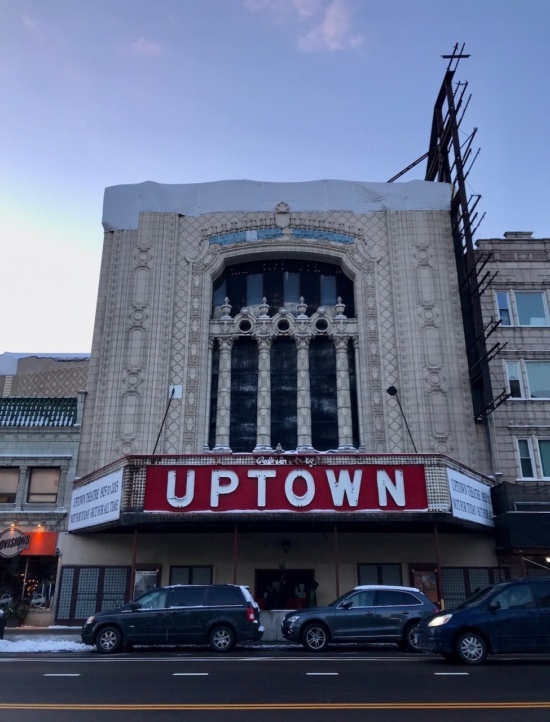 After 37 years of Chicago’s harsh freeze-thaw cycles, including a 30-foot-tall icicle that grew in the basement in 2014, the historic Uptown Theatre is poised for a $75 million-dollar restoration, slated to begin next summer. With the restoration long championed by outgoing mayor Rahm Emanuel, the new 5,800 capacity entertainment venue will revive a beloved community anchor, shuttered since it’s last concert by the J. Geils band on December 19, 1981. In San Francisco in December, a judge ordered the former owner of the Largent House, a 1935 home designed by Richard Neutra, to rebuild an exact replica of the home, including a plaque detailing the building’s history. 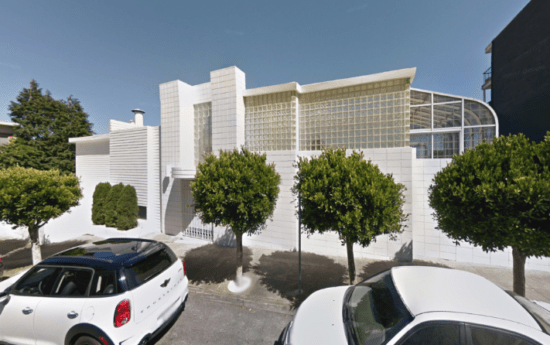 The structure, one of five designed by Neutra in the city, was illegally demolished, the permit application retroactively filed months after the building had been destroyed a year earlier. The 5-0 vote by the Planning Commission occurred in hopes that the penalization will curb illegal demolitions and work in tandem with the proposed Housing Preservation and Expansion Reform Act. The owner intended to replace the 1,300 square foot Largent house with a 4,000-foot structure. 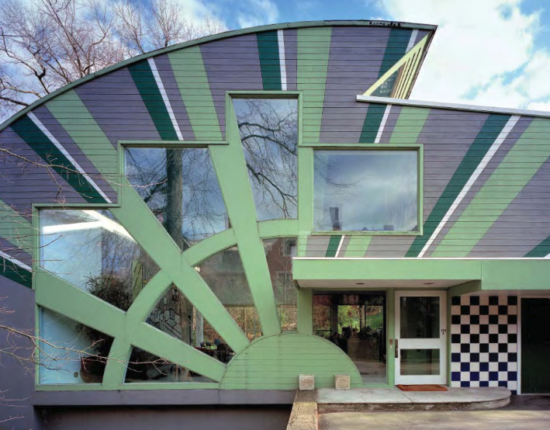 In Pittsburg, Robert Venturi and Denise Scott Brown’s 1979 Abrams House was put up for sale, purchased and demolished over the course of the summer, leaving the Pittsburg History and Landmarks Foundation (PHLF) with a limited window to drum up attention to the demolition, establish a dialogue with the owner, and draft a landmark nomination before the structure was lost. Robert Venturi, who extolled the virtues of bridging the gap between old and new, died on September 19, adding to the growing concern that architecture and historic preservation has not done enough to protect the structures or ideas of the pioneers of postmodernism, many of whom are advancing in age without seeing their structures advance to a level of accepted historic significance. Ludwig Mies van der Rohe’s Farnsworth House, has been inundated by flooding by the neighboring Fox River numerous times in the last 20 years, causing thousands of dollars in water damage that the buildings’ stilt-like columns were designed to prevent. A technical advisory review panel found that the most promising choice to mitigate future flooding was to integrate a permanent hydraulic system into the building’s foundation that can be mechanically lifted as the Fox River rises. Preservationists have cried foul over this plan, as well as others to move the house to higher ground, as a compromise of integrity. The 1920 Balinese Room, a Galveston, Texas nightclub designed by the Chicago-based architectural firm Rapp and Rapp, hosted entertainers like the Marx Brothers and Frank Sinatra. Added to the National Register of Historic Places in 1997, the Balinese Room was completely destroyed as Hurricane Ike barreled through Galveston Bay on September 12, 2008. Only a few wooden dock posts remain. Before Hurricane Maria hit Puerto Rico in September 2017, the tourist economy boomed in Old San Juan, a UNESCO World Heritage Site, adding encouragement to the frequently repeated argument that historic preservation makes economic sense. While the 16th and 17th century buildings in Old San Juan sustained minimal damage, nearly 60 percent of the island is still without power, and thousands of Puerto Ricans struggle daily with housing and economic uncertainty. Justifying the funds and assistance to replace windows and streetlights in a historic district is nearly impossible when the island faces an unknown future. While heritage conservation cannot control an Act of God, we need to put a complete stop to asking the question: “is climate change relevant to preservation?” and instead head towards a prompt sense of urgency for present and future cultural resources to plan and implement hazard mitigation at the local, state and national levels. This conversation must happen in tandem with advocacy, landmarks listing and rehabilitation, as every dollar invested in pre-disaster mitigation prevents four dollars in average losses. General Robert E. Lee Memorial, New Orleans, Louisiana, 2015. The statue of Lee was removed in 2017. In August 2017, a 1924 statue of Confederate General Robert E. Lee in Charlottesville, Virginia was used as a symbolic rallying point for a “Unite The Right” event, drawing hundreds of white nationalists, including Richard Spencer, the president of the National Policy Institute and known white supremacist, and David Duke, former grand wizard of the Ku Klux Klan. The City of Charlottesville had voted in February to remove the statue, following suit with other American cities like New Orleans, rejecting the early 20th century narrative of Confederate monuments as innocuous representations of a noble, old cause and embracing their frightening reality as objects constructed to manipulate the historical interpretation of the Civil War to stave off the impending threat of equal rights for people of color. Two distinct surges in construction of Confederate monuments occurred in America, one during the nineteen teens and twenties, and another during the nineteen fifties and sixties. These surges correspond to the enactment of Jim Crow laws and later, the Civil Rights Movement. There is a broad range of solutions suggested for Confederate monuments. Those who are passionate about retaining the statues in situ without additional context often cite personal or familial connections to the Confederacy. Many preservationists consider these monuments from a static historical viewpoint, for their artistic quality, connection with a significant craftsperson or designer, or material composition. Others advocate for removing Confederate monuments from the public sphere, and placing them in the private hands of the organizations that erected them, like the Sons of Confederate Veterans, and the United Daughters of the Confederacy. Monuments could perhaps be properly contextualized in museums. Others believe the best way to equitably address Confederate monuments is to destroy them, yet even those that may denounce white supremacy may object to the removal of Confederate monuments, likening it to European attempts to erase Soviet-era history by destroying them. As terrorists of all types continue to radicalize American symbols to deadly effect, the public looks to historic preservation for guidance as the proclaimed stewards of built heritage and saving places. From the nation’s governmental bodies to non-profits to educational institutions, historic preservation’s overall dialogue lacks conviction, and brings about the old adage that we “cannot and should not erase our history.” Historic preservation has remained largely silent in the public sphere, adding to the idea that the field is archaic and bends to the whim of the old and the privileged. Our weak stance on this issue is antithetical to the core values of the original movement as one that responds to social issues via addressing how they relate to the built environment. In all of the ways historic preservation takes irrational stances on architectural significance over community health or property rights, it is unable to take a strong stance on the removal of Confederate monuments. We have an opportunity to directly influence the course of a vital and timely national topic that we are not taking. The Westin Book-Cadillac Hotel, Detroit, Michigan. The hotel was renovated in 2008 using the Federal Historic Tax Credit. With decades of bipartisan support since its inception in 1976, the Federal Historic Tax Credit is the most powerful tool available to encourage saving historic buildings. Once an income producing building is certified as a historic structure by the National Park Service, the owner may apply for a 20% credit on their income tax. A 10% tax credit is available for the rehabilitation of non-historic buildings constructed prior to 1936. These federal credits can be used in tandem with state historic tax credits, creating enormous financial incentives that stimulate private investment, particularly in older cities, small towns and neighborhoods where disinvestment has occurred. The former Schmidt Brewery in St. Paul, Minnesota ceased brewing operations in the early 2000s. With generous use of the federal historic tax credit, it now houses 247 lofts, all with household income limits. Long a fixture of the decline of Detroit’s downtown, the Book-Cadillac Hotel underwent a renovation in 2008 using tax credits, creating a halo effect on the surrounding area. The Trump Organization received a $40 million tax credit towards the rehabilitation of the 1899 Old Post Office and Clock Tower in Washington D.C., adaptively re-using the former office building into a hotel. New Orleans has one of the highest number of completed rehabilitation projects using tax credits in the country, with over 560 projects completed in the last two decades. With two versions of tax reform in the works, the House version eliminates the historic tax credit completely, and the Senate Finance Committee version retains the 20% tax credit, but eliminates the 10% tax credit. Eliminating or diminishing these financial incentives will make renovating historic buildings across the country financially unjustifiable, leading to increased numbers of underutilized and vacant buildings, as well as teardowns. As important as developing a cultural or social case for saving historic buildings is, terminating these incentives jeopardizes the ability for old buildings to net a benefit for developers and owners. The postmodern James R. Thompson Center, Chicago, Illinois. Threatened postmodern architecture is national news. The Los Angeles County Museum of Art plans to demolish a 1986 postmodern addition by Hardy Holzman Pfeiffer. A dramatic alteration to the granite archway of Philip Johnson’s 1984 AT&T Building in Manhattan has been proposed by Snohetta, threatening its integrity. Helmut Jahn’s 1985 James R. Thompson Center in Chicago is the victim of decades worth of willful neglect at the hand of the State of Illinois. Applying traditional eligibility status to these buildings can be tricky as they hover near the 30-year mark; too old to be considered serviceable but too young to be historic. Preservationists have fought hard and uphill time and time again to convince the public of the value of everything from Mount Vernon to the French Quarter to Prentice Hospital, yet the threat to postmodern architecture seems to have come on faster than threats to any other architectural style in American history. The relative newness of postmodernism, coupled with its reputation as ugly and loathsome makes it difficult for some to recognize its place within the fluidity of history. Yet ‘ugly’ is too subjective of an adjective to use in the case of postmodern buildings, as it is just as rational to believe that the molded cornices and mansard roofs of Second Empire are ugly, as they once were considered to be. At the forefront of advocacy for postmodern architecture are a robust group who are building the case for saving these buildings by pulling from the cultural value of the buildings, and their connections to core events in the history of the historic preservation movement. While these arguments aren’t perfect, they are worlds away from past demands that buildings are important because professionals in architecture say they are. 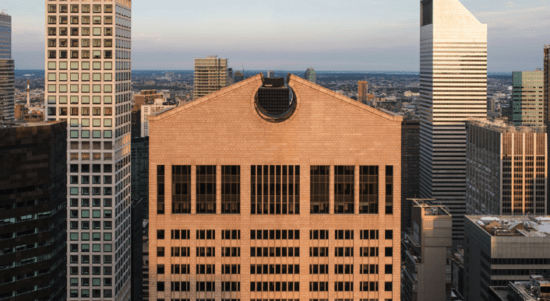 Advocates for retaining the integrity of the AT&T Building have used a combination of traditional protest, yielding signs that proclaim, “Hands off my Johnson” and social media exposure, inspired by the advocacy to save Pennsylvania Station in the 1960s. At the heart of the effort to save the Thompson Center is the original objective of Helmut Jahn’s design to express the need for governmental transparency through architecture, and how the treatment of the building over time is in direct contradiction with the buildings’ intention. Not engaging in or supporting these advocacy efforts presents the message to the public that historic preservation and heritage conservation feels that no buildings are worth saving that haven’t already been researched, advocated for or listed as landmarks. Without critically considering future historic buildings, historic preservation will die. Lead primarily by young people, the charge to save postmodern architectural heritage is the future of the field in body and spirit. Once upon a time, American monuments felt innocuous. They sat quietly in parks and squares, repositories for bird droppings and cans of cheap beer. Their stone bases worn from the sandblasting of cheapjack graffiti and chipped from years of nicks from riding lawnmowers. Noses of erstwhile political figures were playfully burnished. That time of unknowledgeable innocence is gone. Like ideas and people, monuments too, can be radicalized. It is expected that the meaning behind symbols changes with the times, yet it is easy to forget when our lives have been lived among them, whether in blissful ignorance or somber reverence. Many Americans view monuments as parts of history we should not and can not change, particularly in terms of altering or removing statues and memorials to fallen Confederate soldiers, battles, or military generals and political leaders. Monuments of architectural significance have been venerated locally and nationally, as well as celebrated culturally, yet it took a series of catastrophic tragedies to put into focus that their context was always incorrect. The Robert E. Lee sculpture was added to the National Register of Historic Places in 1997 after its addition to the Virginia Landmarks Register in 1996. The narrative presented in the National Register nomination gives scant information on Lee, but it does tilt towards the idea that the Confederate cause was a noble one. Most historical descriptions of Confederate monuments in official documents, like a National Register nomination, present their significance in neutral terms, as art works by significant sculptors or components of a landscape or planning movement, having no interaction with the cultural context the monument was constructed in or the cultural context that existed when the monument was written. Narratives keep in line with the established period of significance of a historic resource, but this timeline will never be finite. Context changes over time as cultural changes occur, and as we learn. That noble cause in 1861, at the succession of the Confederacy from the rest of the United States, included the unlawful abolition of slavery and the prohibition of voting rights for anyone born outside of the Confederacy. How do these provisions, taken directly from the Confederate Constitution, relate to a contemporary perspective to keep Confederate culture intact? How do organizations like the Sons of Confederate Veterans or the United Daughters of the Confederacy, or the Friends of Charlottesville Monuments, who are at the center of a court case fighting against the removal of the Robert E. Lee statue with the City of Charlottesville, balance a culture with a core of oppression against the realities of a future of inclusion? The majority of monuments to the Confederate cause were not erected during the immediate aftermath of the Civil War, but well after, into the 20th century, when even the oldest, healthiest Confederate veterans were rare. Two distinct surges in construction of Confederate monuments occurred, one during the nineteen teens and twenties, and another during the nineteen fifties and sixties. These surges correspond to the enactment of Jim Crow laws and later, the Civil Rights Movement. In an attempt to stave off the impending threat of equal rights, work was done to control the historical interpretation of the Civil War and present it as a noble cause and to push the Confederacy as a cultural concept while presenting Confederate icons as an honorable ideal. Out of these eras of recognition of the bravery of the Southern cause came monuments to Robert E. Lee, Stonewall Jackson, and others as celebrations of valor and faith. Confederate generals were exalted as intellectuals and sages, depicted nobly atop their horses and at parade rest, cast in bronze beside compassionate angels. These monuments were placed in town squares and city parks, and presented as objects of remembrance towards a cause that was lost, but also noble. Those that nostalgized the old days of Dixie now had the iconography to remind them that while the Civil War, Jim Crow, and Civil Rights had politically stifled their ideas of a single race state, it could never be culturally stifled. Black people were not so subtly reminded that they had their place. Confederate monuments were never innocent, never static and never simply material objects. They were always symbols of intimidation, manipulated as cultural heritage and works of art, and silently used to perpetuate the myth that 20th and 21st century Confederalism is cultural and familial, and not innately discriminatory. They are propaganda, not cultural heritage, and they have served, for decades, to provide something to hide behind that has more decorum than a white robe. On a recent day in July, tourists gathered at the southeast corner of Alamo Square Park in San Francisco to view a characteristic row of candy colored Victorian houses on Steiner Street, set within the jaw dropping background of downtown San Francisco. Many visitors have come to Alamo Square Park, part of a larger City of San Francisco historic district of the same name, to insert themselves into a scene that is synonymous with San Francisco. Visit times vary dramatically. Some visitors lounge casually across the sloped green, taking in the view. Others focus intently behind complex camera equipment. Still more, the largest fraction of people that come to the park, dash out of cars, hazard lights flashing, to capture a quick selfie in front of the postcard-worthy view. The answer, by most accounts, is correct. From 1987 to 1995, this view found its way into suburban homes via the opening credits to ABC’S situation comedy Full House. A chorus of angelic “aahs” chimes in with a panoramic shot of Steiner Street, followed by bucolic footage of the Tanner Family having a picnic within Alamo Square Park. While the opening credits vary, the final picnic shot remained consistent across all eight seasons. It might dishearten nostalgic Millennials and Generation X-ers to learn that none of the six Victorian houses are the actual Full House House. Setups for scenes imply that the house was not one of Alamo Square’s famous “Painted Ladies,” but a different house, located at 1709 Broderick, about a mile from Alamo Square. Further complicating sense of place is the fact that, like most network sitcoms, Full House was not filmed in the city that served as a weirdly tertiary character on the show, but at Warner Brothers Studios in Los Angeles. This perhaps explains why the interior spaces have more in common with the suburban houses built in the late 20th century that the show found itself being screened in than a wood framed Victorian located in the densest urban area in Northern California. With the early aughts came an abundance of information available instantly, as well as an increase in life expectancy that has lengthened our culture’s view of personal history. These factors, along with the tendency for technology to turn over quickly, has made the divide between what is perceived as “new” and what is perceived as “old” much greater. People of every age have the right to wax nostalgic about their own pasts, and to become knowledgeable about events that occured before their lifetimes, yet there is a tendency to check a person’s ID before we give them a lane to do so. Along with those who wish to nostalgize their time watching Full House with a trip to Alamo Square, are the thousands that dined at Saved By The Max, a pop-up restaurant concept inspired by another 1990s sitcom, Saved By The Bell. Based on what Saved By The Max co-founder Derek Berry called “nostalgia overload,” Saved By The Max brings a fictional replica of The Max, a hip after school hangout for the attractive peer-aware students at Bayside High School to Chicago’s Wicker Park neighborhood. Originally slated to be open for only three months, Saved By The Max continued on for a year due to popular demand, with the restaurant now moving on to spread its nostalgic magic to Los Angeles. From an experiential standpoint, the search for the Full House House signals something uncomfortable about the turn taken towards being less concerned about the meaning of the places we go to, and more concerned with showing others where we have been. Standing on that hill, it is obvious that smartphones and social media have created a culture that prioritizes capturing yourself within an iconic scene, as opposed to capturing the scene itself, or absorbing in real time how being a part of the scene makes you feel. Prior to digital photography changing the way personal events are documented, and well before social media, pop culture as a whole agreed that in terms of travel photography, nothing was dorkier than the notion of firing up the Kodak Carousel-S and showing reluctant friends and family images of all the places you’ve visited, and how you have managed to insert yourself into nearly every photo taken of a significant place. Instagram is today’s Carousel-S, yet we judge the images in private and have somehow unlearned that there is anything tacky about mashing your ugly mug into the frame of a photograph. A quick search for Eiffel Tower, Golden Gate Bridge, Christ the Redeemer or the Pyramids at Giza using any social media app’s search function yields an embarrassing amount of people looking shiny and overexposed in front of some of the world’s most unique places. Pick the nose of the Sphinx of Giza? Hold up the Leaning Tower of Pisa (or Niles, Illinois) with one hand? Give Jesus a double high five in Rio de Janeiro? Jump vertically while flailing your arms and legs like an Air Dancer in front of the Colosseum? These images are repeated over and over. Back at Alamo Square, people are now informally queuing up to be photographed in front of the most iconic view of the “Painted Ladies” like they were Mickey and Minnie Mouse. Alamo Square is a location, a place, a neighborhood that you physically experience. Mickey and Minnie Mouse are characters that represent the experience, but they are not the experience itself. The beautiful places of the world have become characters in mascot costumes. And what exactly brings people to these beautiful places? Doesn’t the porch where D.J. Tanner kissed either Nelson, Steve or Viper on the show seem too large for any of these houses? Which house is Kimmy Gibbler’s? “Doesn’t the entirety of the San Francisco Western Addition look Full Housey to you?” Deep down, we know it is impossible to apply a series of logical truths to a fictional television show, yet we can’t resist. 1990s sitcoms and selfie hot spots are only slivers within the historical timeline of Alamo Square, many streets have retained a remarkable amount of integrity overall, a triumph for a neighborhood that was almost wiped out in the 1960s to make way for the Panhandle Freeway. But an influx of tourists after Alamo Square Park’s recent renovation has caused an increase in daylight vehicular break-ins, and wireless providers are hungrily eyeing every street light and tall object to add their antennas to so more selfies can be shared. Despite the attempts for history to nay say social media and early onset nostalgia, these 21st century elements have already altered our experiences with the places we travel to see. As Malcolm X recounted in his autobiography, Ella was “the first really proud black woman I had ever seen in my life.” Ella lived in Roxbury, a community Malcolm X would describe as effervescing with blackness. In central Michigan, Malcolm had only known life as a black person in white spaces, bound by the de facto Jim Crow framework in competition for evil with the official Jim Crow laws of the South. Roxbury was everything that the small, white community of Mason was not. Malcolm X would return to Mason at the end of the summer, but would settle in Boston for good at the end of the school year as Ella arranged for full custody. Once he was enrolled in a private school, Ella encouraged Malcolm to postpone getting a job until he got a feel for his new home, so he observed the comings and goings of Roxbury, but soon branched out and began to explore the entire city of Boston. According to The Autobiography of Malcolm X, Malcolm gawked at the historic buildings, with plaques and markers and statues for famous events and famous men. Malcolm wrote at length to his extended family in Lansing about the cobblestone streets and the department stores. In Boston Common, he was astonished to see a statue of a black man, Crispus Attucks, the first to fall in the Boston Massacre. In the fall of 1941, Malcolm found himself a job at one of Boston’s most storied institutions, the Parker House. Established in 1855, the Parker House Restaurant claimed to be the first to serve Boston Cream Pie, Parker House Rolls, and scrod, and was a famous haunt of local politicians and writers like Charles Dickens and Edith Wharton. At the Parker House, Malcolm held the benchmark of restaurant jobs: the busboy. The Parker House, now run by Omni Hotels & Restaurants, looks, feels and smells like an institution that thrives on inherited wealth. Its consistency makes a strong selling point to those accustomed to an old fashioned notion of luxury, and little has changed. It is proudly past its prime. The Parker House is the type of restaurant interior one might imagine being underdressed in, until you arrive and realize that guests are happily getting along in flip-flops and Disney sweatshirts. The same 1856 Boston Creme Pie recipe is still as venerated as it once was, yet now it’s woefully overshared on social media as a key component in the Boston experience. This was my experience, though, from a position of privilege that couldn’t have been more opposite from Malcolm X’s. I draw extensively from my experience as a blue collar worker but disconnect in further comparisons both here and in my head. I’m a white women with means, able to move about spaces out of bounds for others. I assume racism is everywhere, everyday, but I have never been a figure to ground against an unjust center of power. The crisp white shirts Malcolm X wore are now gold vests and ties, but classism and racism continues to subvert and resist challenges in exhaustive ways. As a restaurant worker, I cannot say that I challenged each and every coworker when racism was implied or overt. At the Parker House, all of the guests were white, and the staff was black and hispanic. Bussers were present, but anonymous, encouraged to fade into the background and expected to maintain a complementary demeanor. They are the only component of a restaurant that exists comfortably among the table linens and silver trays of the dining room, and the dish bins and sinks in the kitchen, the most vital connectors between the front of house and back of house. They clean up after the servers and vacuum the crumbs from the carpet. They lift heavy bus bins, take out the trash and are responsible for what is often a restaurant’s most thankless, labor-intensive work. The colloquial job title is still woefully, pejoratively gendered, as the term ‘busboy’ is fundamentally belittling. Service industry professionals build a thick skin against the criticisms of both their guests and co-workers. You learn to internalize anger, as being agreeable and non-confrontational are seen as not only positive attributes, but traits that will get you the biggest tip percentages and the best table sections. You brush off disparaging comments and harassment, and learn to keep your head down. I spent a considerable amount of time loitering outside the associate entrance, trying to determine if the physicality of the doorway had any common traits with the one that Malcolm X used while he worked there, and if so, how he . While the Parker House wasn’t Malcolm X’s first service industry job or his last; he washed dishes at a restaurant in Mason and would go on to shine shoes at the Roseland Ballroom in Roxbury, perhaps it played a roll in the development of the revolutionary American he would become. Was he talked down to by white customers and staff? Did he see fellow black employees struggling to make ends meet at menial jobs? While Malcolm X wrote little about his time at the Parker House or in the service industry, he borrowed generously from personal experiences throughout his life, allowing them to inform his refusal to cooperate with the white status quo. Perhaps it was this job, the first outside of his hometown, that incited him to action. Aerial View of the Man Mound after the spring “burnoff” of dead prairie grass, 2014. Image via Sauk County Eagle. Deep in the rolling hills of the northern flanks of the Baraboo Range, and about two miles northeast of Baraboo, Wisconsin, lies an ancient and mysterious earthen figure, cut off at the shins. An amputee. The Man Mound of Greenfield is the only surviving anthropomorphic effigy mound in North America. It was formed of earth between 700 and 1000 AD by the Late Woodland effigy mound builders, who constructed both humanoid and zoomorphic mounds across the eastern and middle western portions of what is now the United States. Until the turn of the 20th century, Sauk County had as many as twelve humanoid mounds, with hundreds of others depicting birds, snakes and other animals. Despite early recognition by surveyors of these earthworks as special monuments, almost 75% of the mounds previously identified have disappeared. Looking north towards Man Mound’s “horns.” Despite the snow cover, the rise above grade is clearly visible. Mowing of the mound ceased in 2008, attributing to an array of prairie grasses and flora seeding from it, including ferns not native to Wisconsin. Not long after measurements of the Man Mound were taken and the mound was brought to wider public attention by civil engineer and naturalist Increase A. Lapham, an east-west road was cut below the figure’s knees, detaching the body from the feet, an unmistakably adverse effect that would be inconceivable today, and illegal in terms of federal and state laws regarding the mound’s historic and cultural status. But this was the Midwest in the 1860s, less than a lifetime after the Indian Removal Act, and the center of a century where transportation routes and the opening of government lands pushed non-native people westward. Immigrants of German and Irish decent were coming by ship, steamboat, railroad and then in wagons through the Baraboo Valley. Thirty years prior to the construction of Man Mound Road, Native Americans were the primary inhabitants of Wisconsin. The name of the road has a deeply disquieting effect, as if the mistake was acknowledged as soon as the road was laid. The Man Mound is a transformative being, a curiosity of the Lower World, a primordial deity, a water spirit, a bear, or a rabbit, or any of these things. And to native peoples like the Ho-Chunk Nation, who lay claim to the Late Woodland effigy mound builders as parent stock, a symbol of renewal. In 1908, the Wisconsin Archaeological Society, along with the Federation of Women’s Clubs and The Sauk County Historical Society moved to acquire the Man Mound Site, establishing it as one of the first archaeological sites preserved specifically for preservation purposes. This purchase occurred in the nick of time, as the previous land owner had disclosed that he was looking into cultivating the site. Man Mound Park was dedicated on August 8th, 1908. Historical marker erected by the Sauk County Historical Committee, 1969, alongside the Wisconsin Historical Societies’ plaque from the 1908 park dedication. The Man Mound’s torso and right arm are visible in the background. While the dedication of the park did include an invocation of indigenous peoples, accounts of that day paint a woefully misguided picture of appropriation as appreciation, showing a version of the disconnection between Americans and native peoples that we see today, from feathered headdresses at Coachella to the Washington Redskins to referring to a work meeting as a pow-wow. Native Americans were not considered a part of the 20th century narrative of the Man Mound, and were instead relegated to a cultural footnote during the celebration-tipis, wampum and all. Detached from the rest of the body, the feet were now located in a cow pasture on the other side of Man Mound Road, and would over time get trampled down to grade. Even without legs, which is certainly an integrity problem for the ages, Man Mound was listed on the National Register of Historic Places in 1978. Rob Nurre is a landscape historian and longtime steward of the Man Mound who has come to live “seventeen man mound-sized steps away from the park.” With the 100th anniversary of the park looming, Nurre began thinking about the Man Mound’s amputated legs and feet, along with ways to raise public awareness for the site. Using measured drawings from the 1850s and a can of white paint, Nurre gave Man Mound new prosthetic limbs stretching across the road, and worked with the land owners north of the road to mark off the area where the feet once stood. The Man Mound’s “ghost legs” stretch across Man Mound Road. “How do we best care for these sites,” asked Nurre. “When they are such a reference point in terms of how we see the world?” Perhaps the Man Mound’s painted legs are an arbitration between a careless past and a conscious, deliberate future. They also “get in your face” Nurre said, as they clearly do not relate to roadway safety, and you’ve got to drive over them in order to get west of the mound. Rebuilding the missing extremities from grade wouldn’t be appropriate mitigation, as it would serve to erase the lessons in stewardship and our cultural dialog with the past that the flattened legs and feet force us to interface with directly. The location of Man Mound’s trampled feet, fenced off from a cow pasture. In 2016, the Man Mound was designated as a National Historic Landmark, a distinction only given to historic places that have a profound national significance, and are already listed in the National Register of Historic Places. Only 2,500 of our nations historic landmarks meet this criteria. The boundary of the Man Mound National Historic Landmark was extended beyond the boundary of the National Register of Historic Places listing to include the area of the road containing the “legs” as well as the section of pasture where the feet once were. The creative mitigation of modern interference is now a part of the Man Mound’s official story. William H. Canfield’s map of the Man Mound, 1859. Canfield shared Man Mound’s discovery with Increase A. Lapham, and Lapham publicized the find. Image courtesy of the Wisconsin Historical Society, WHi-77567. In 1859, Increase A. Lapham wrote that the Man Mound “is in the act of walking, and with an expression of boldness and decision which cannot be mistaken.” At over 214 feet tall, Man Mound is striking when viewed from the ground, but aerial views are truly mystifying, and beg some serious questions. Was the Man Mound meant to be viewed from the sky? Where is it walking to? What is the true meaning of the iconography? We as a modern people know so little about the purpose of effigy mounds, and almost as little about their contents. As many as 87% of effigy mounds that have been subject to archaeological investigation were used to mark or contain human burials, with most contained near a figures’ heart or inside the head. While archaeological digs have occurred in the area where the feet once were, yielding nothing of interest, there is no record of disturbance for the rest of the body. Digging into a cultural monument that is over a thousand years old would be a selfish, obscene choice, and would produce nothing of value. The Man Mound will continue to yield information on our collective reference point, but by way of our understanding of what has occurred above ground, and how we weigh our current decisions against the established effects of the past and the unknown future. So what is the best practice in terms of an effigy mound without legs, when there are no other effigy mounds with legs to compare it to? Perhaps this is the Man Mound’s true character as a transformative being. One that continues to learn from us as we learn from it. The author would like to thank Rob Nurre for his generous contributions to this article.